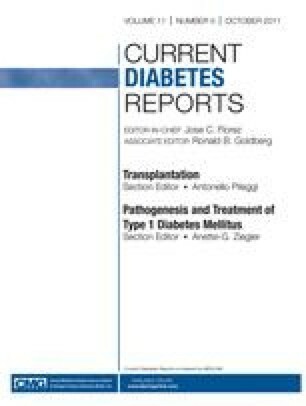 The central role of T cells in type 1 diabetes pathogenesis is well established, but these cells continue to pose numerous challenges in understanding their dynamics and in following their modifications. Important progress has been recently made in pinpointing some novel antigens targeted by pathogenic T cells and the epitope sequences recognized. Studies on the interplay between effector T cells, their regulatory counterparts, and cells of the innate immune system have unraveled novel pathways and may inspire new therapeutic approaches. At the same time, the appreciation of the plasticity of regulatory T cells has raised important caveats on their use for cell-based therapies. Continuous development of T-cell assays exploring both pathogenic and regulatory players will be critical to “take the temperature” of undergoing disease progression and reversal. Work performed in the laboratory is supported by the Juvenile Diabetes Research Foundation (JDRF grant no. 1-2008-106), European Foundation for the Study of Diabetes (EFSD), and Lilly European Diabetes Research Program, Programme Blanc “Immunotolerins” of the Agence Nationale de la Recherche and by the INSERM Avenir program. We gratefully acknowledge Anna Falaschi-Jones for editorial assistance.